Eric writes: The inaugural Cass County CBC was conducted today. It was appropriate that the best bird of the day, a Spotted Towhee, was found by the creator of this CBC, Landon Neumann. Rob and I, as well as a few others including Landon were able to go back in the afternoon and see/photograph the bird. Eric writes: As part of the Indianapolis Northeast Christmas Bird Count we include a class for boy scouts to get there Bird Study Merit Badge. As with any CBC, teams go out and count birds in a 15 mile diameter circle then meet back up for lunch to tally the bird species seen throughout the morning. The boy scout part of the CBC is set up differently since there are many different requirements for them to get there merit badge. It consists of classroom time and some field time. The classroom portion of the merit badge. 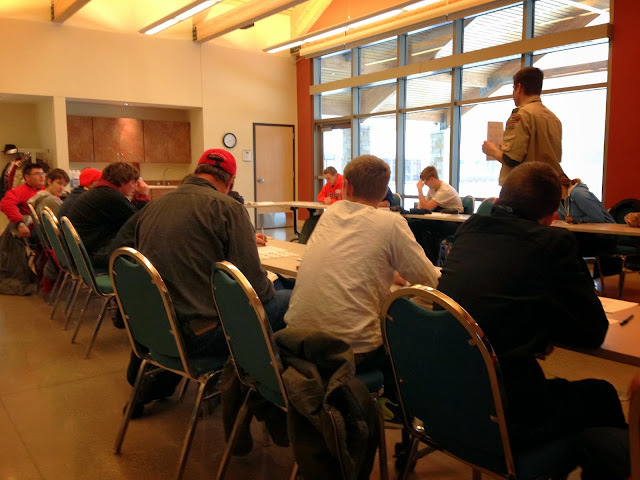 As part of the requirement for the merit badge, the group must see and identify 20 species of birds. This sounds quite simple but becomes more difficult when you have 20 kids trying to see each one, not to mention the constant snow. We walked around Camp Belzer, a Boy Scout Camp on the Northeast side of Indianapolis, and by the end we were a little worried we weren't going to reach 20 species. We eventually added a Tufted Titmouse for 19 before deciding to leave and head back to the classroom. 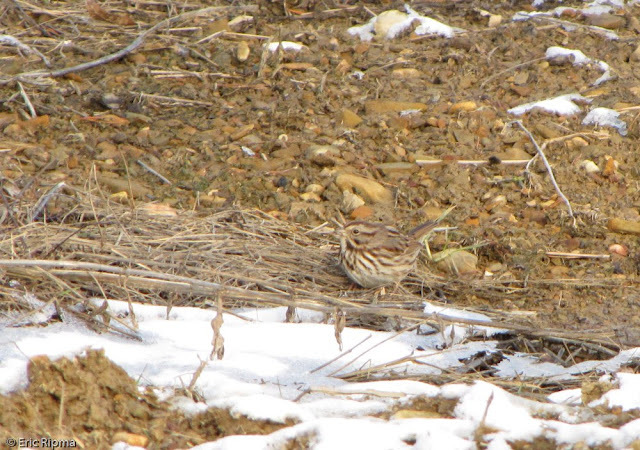 As we were parking a few people noticed a couple sparrows; Song Sparrows, our 20th species! 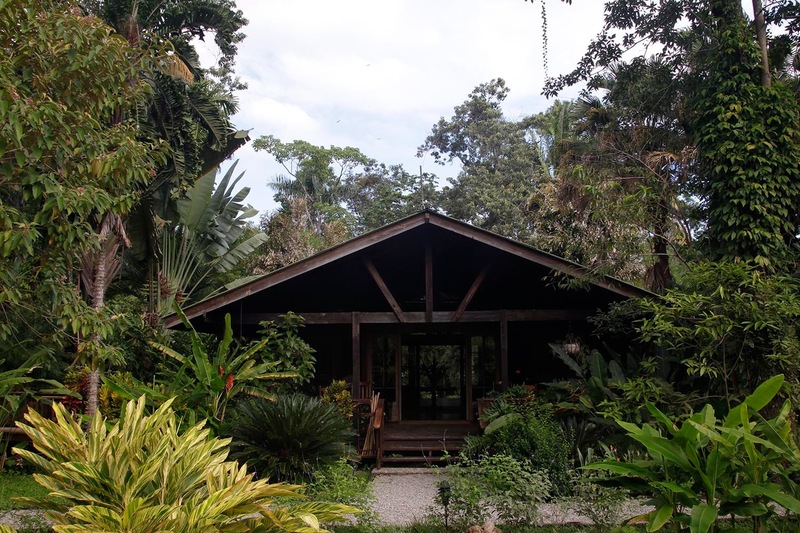 Rob writes: Only about an hour from The Lodge at Pico Bonito is the gigantic Lancetilla Botanical Garden. 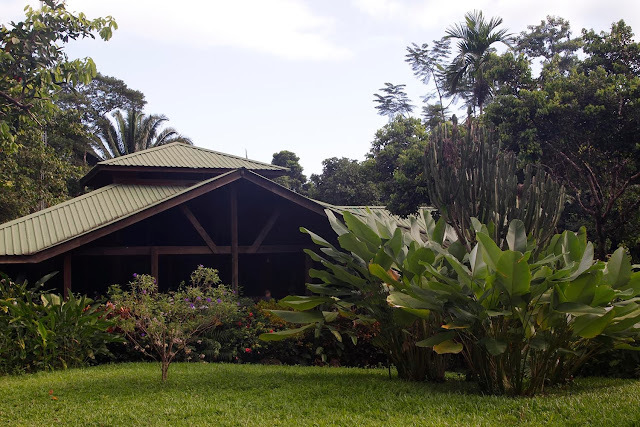 The garden is located just outside of the seaside resort town of Tela and covers over 4,000 acres. The entrance doesn't look like much - it's just a small guard shack located right along the highway at the start of a long gravel road, but you can tell immediately that the garden will be great for birds. We got out of our van pretty much right at the guard shack and began birding. Even with countless cars going by on the gravel road, we could hear an amazing number of birds. One of the first new birds that I added was a Bright-rumped Attila. We could hear the bird extremely well, but it took forever to find where it was perched. Once we did, it continued to call while we all tried to get some pictures. 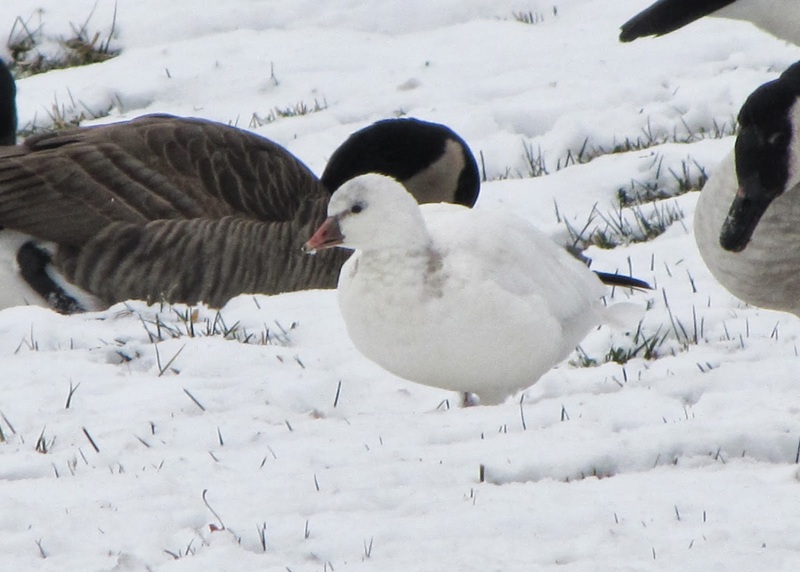 This Bright-rumped Attila was very vocal. 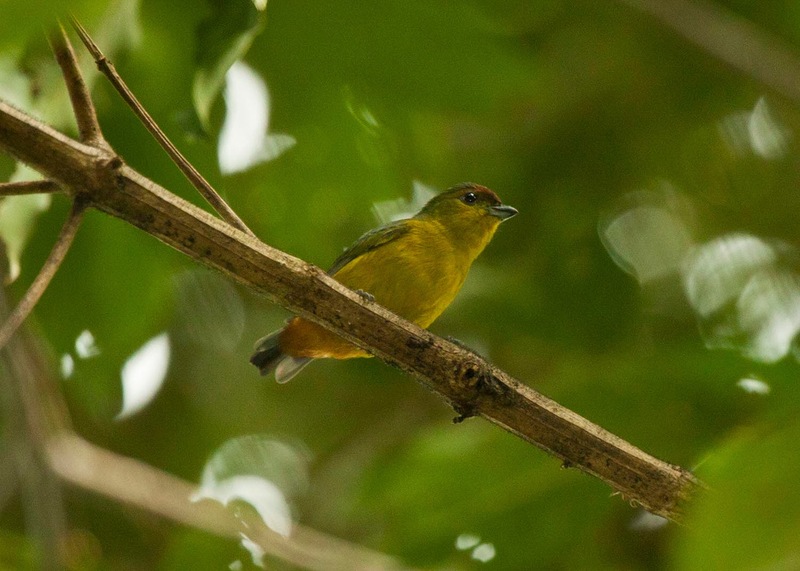 One of the most impressive parts of the morning for me was the number of White-collared Manakins that we found. We ended up seeing 14 on the property throughout the morning, including several males! The female White-collared Manakins were a little easier for me to photograph than the males. Check out those orange feet! 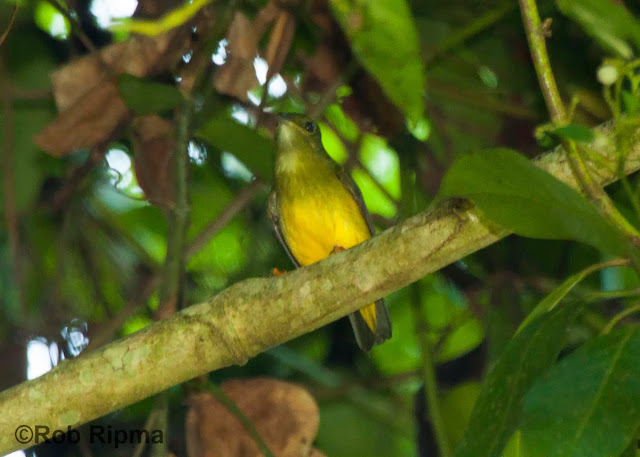 That makes it very easy to distinguish between the female White-collared and female Red-capped Manakins. 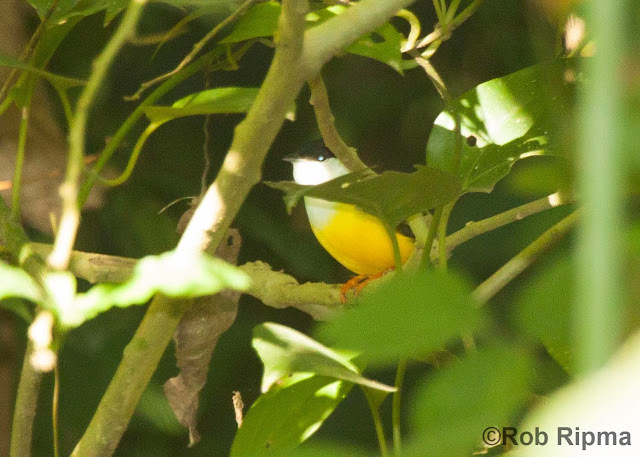 My very blurry photo of a male White-collared Manakin. 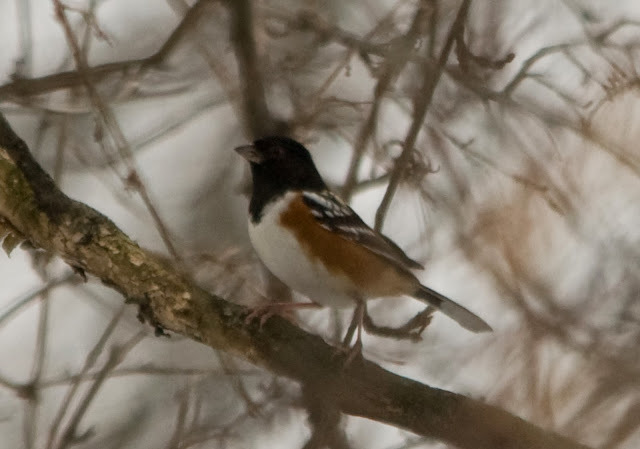 Luckily I got better views of this bird than I did photos. While Brian was off taking amazing videos of several species, our guide Elmer and I found a Smoky-brown Woodpecker coming to a nest whole to feed its young. It was really late in the season for this to be occurring, and the young bird looked like it would be ready to fledge any day. Brian finally caught up with us and was able to get an amazing video of the scene! Over the next several hours, we explored all over the garden and found many amazing birds, with Brian catching many of them on film. Here are some of my favorite photos and videos. Although Passerini's Tanagers are extremely common, I never got sick of them on this trip. 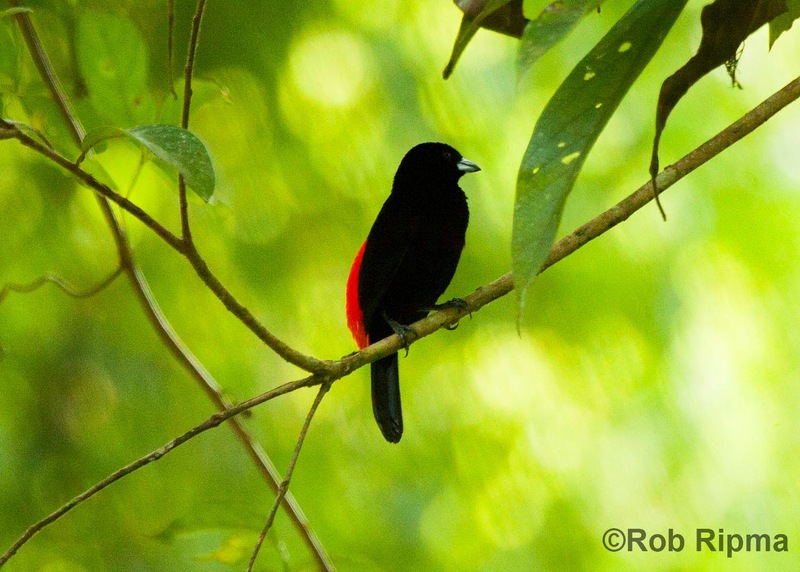 The saltators are very interesting birds that are related to the tanagers. 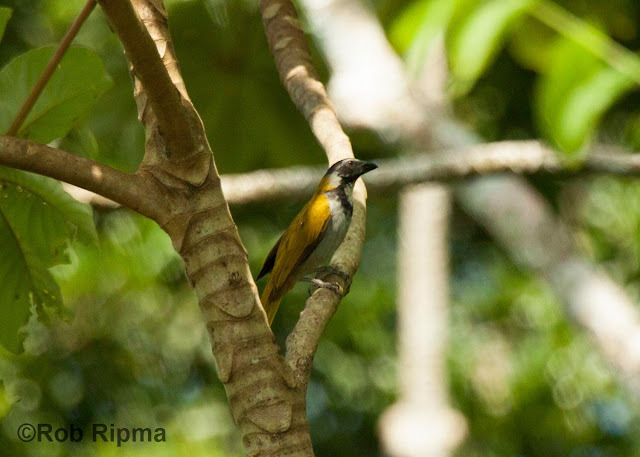 We saw two species while in Honduras, Buff-thoated and Black-headed which is pictured here. 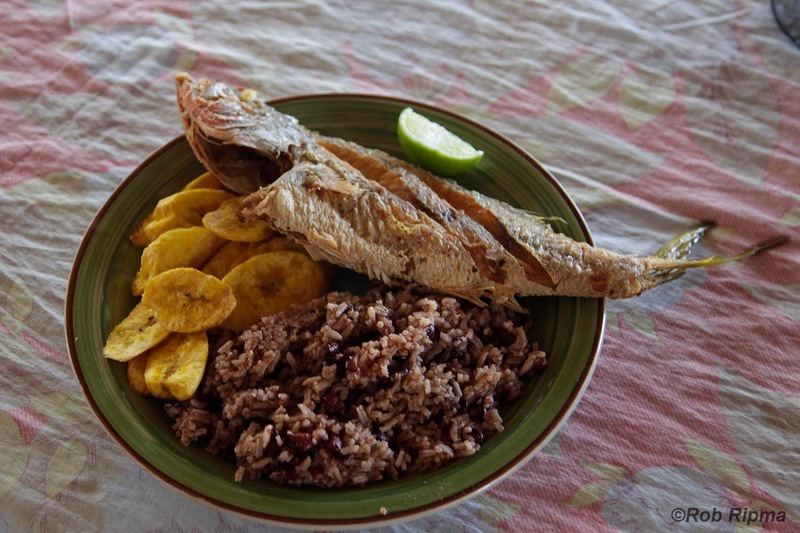 After finishing up at Lancetilla, we headed to the Tela for lunch. 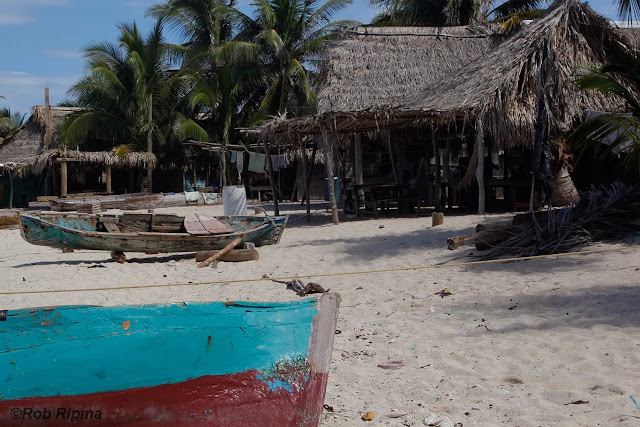 Tela is a resort town mainly for wealthy Hondurans and has a beautiful beach that is full of birds! 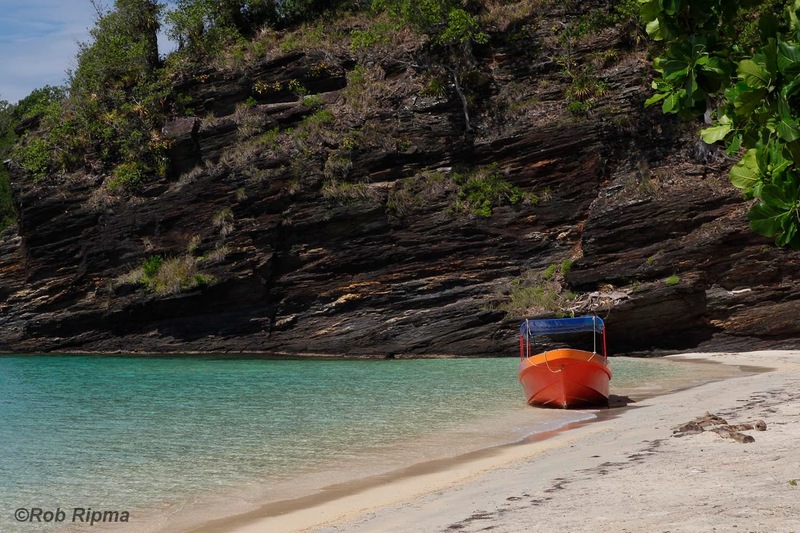 After placing our order, we took a short walk on the beach to see what we could find. We came across a very rare bird by Honduran standards but something that each of us has seen countless times over the years, a Ring-billed Gull. It is always interesting to find something that is quite rare where you are birding but extremely common where you are from! 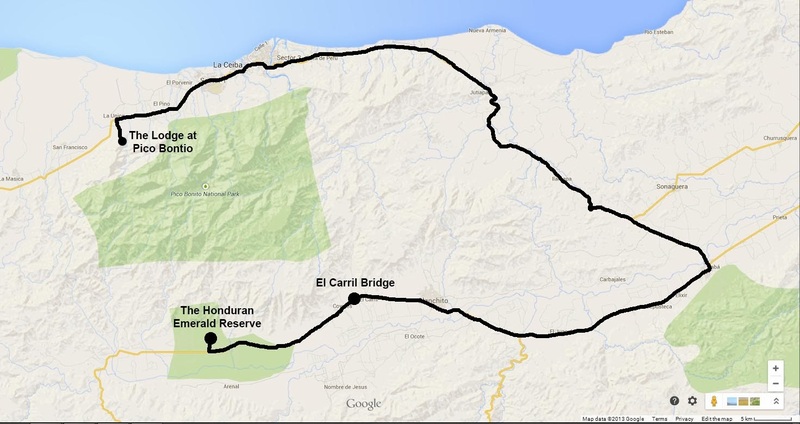 Rob writes: Our third day of birding in Honduras started extremely early, 4:30am, so that we could make the drive to the Aguan Valley on the other side of the mountain range. What would be 15 minute helicopter ride over the mountains is a three hour drive around them instead. To be honest, a helicopter ride through the mountains would be great, but the drive is absolutely beautiful and I wouldn't trade it for a quicker route! While everyone else was sleeping on the drive, I was taking in as much of the experience as I could. Though it was still extremely dark for the first hour and a half of the drive, it amazed me to see how many people were up and heading to work at such a crazy hour. As the sun started to rise, I began to see that we were driving through a valley between mountains where there were some very small farming communities. After about 2.5 hours in the van, we made a stop at a gas station in Olanchito to use the restroom and get some breakfast. 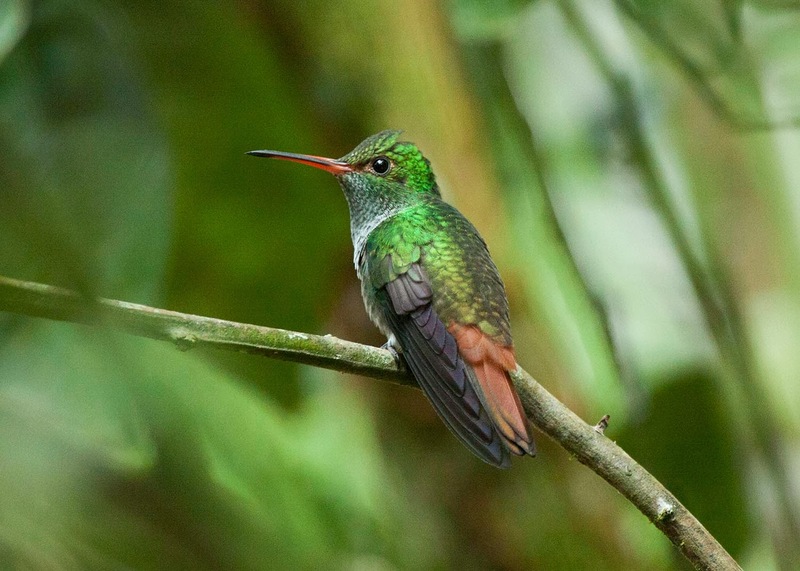 It turns out that Olanchito is the gateway to the Aguan Valley, and they are very excited that they can claim the Honduran Emerald as their own! 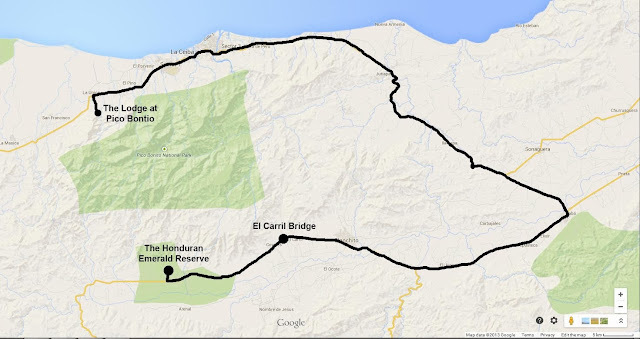 After our brief stop, we birded along the road on our way to the Honduran Emerald Reserve. Shortly down the road, we finally came across one of the birds that I had been really hoping to find on this trip, Fork-tailed Flycatcher. There were a total of nine individuals with six of them being in the same bush! 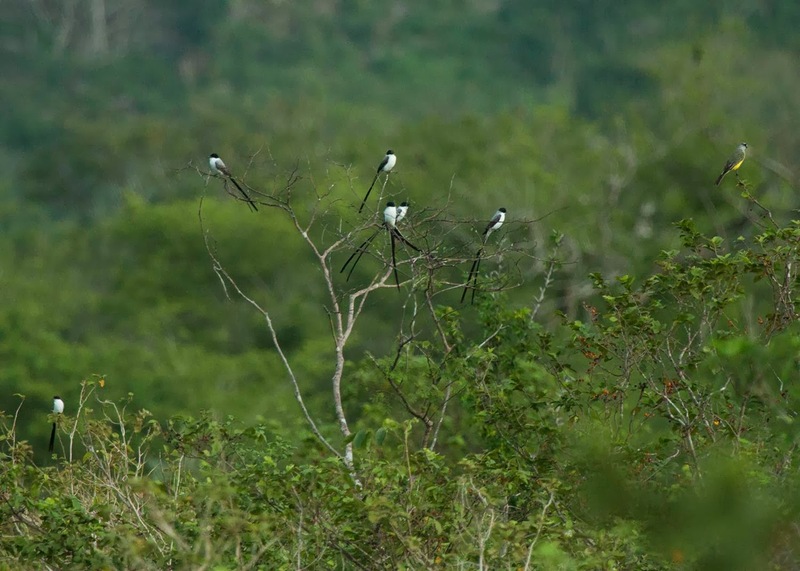 A group of Fork-tailed Flycatchers with one Tropical Kingbird. Not too much further down the road is El Carril Bridge, and the amount of bird life around it is pretty amazing! In just 45 minutes, we found 34 species. 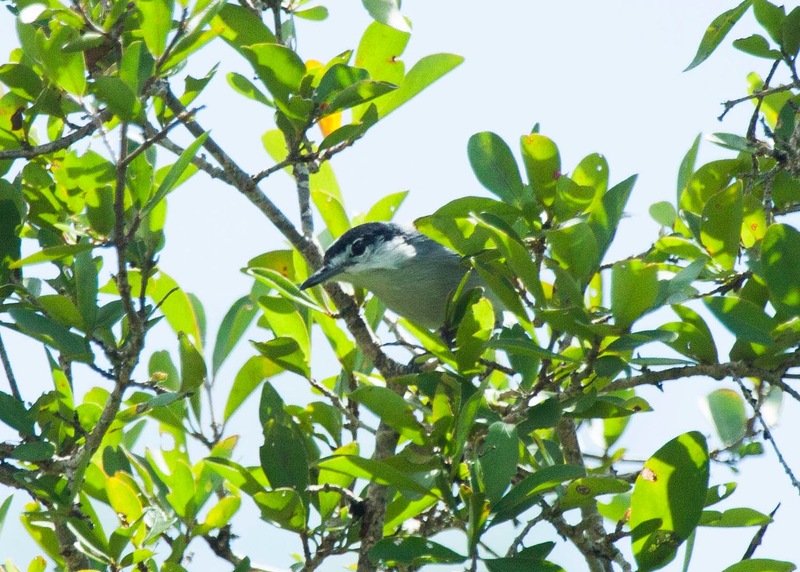 Some of our favorites were Mangrove Swallow, Common Tody-Flycatcher, Painted Bunting, Gray-crowned Yellowthroat, and a very cooperative Ferruginous Pygmy-Owl. We continued on to the reserve with several stops along the way but only added a few species to our list. 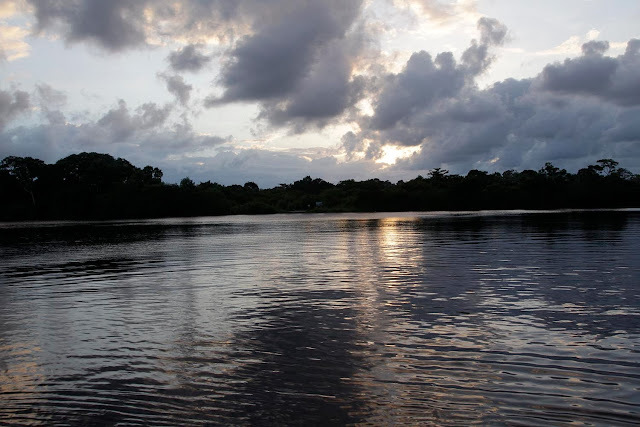 When we first pulled up to the reserve, it was hard to believe that this was where the Honduran Emerald lived. The vegetation is rather sparse and at first glance, there were very few flowers for the birds to feed on. 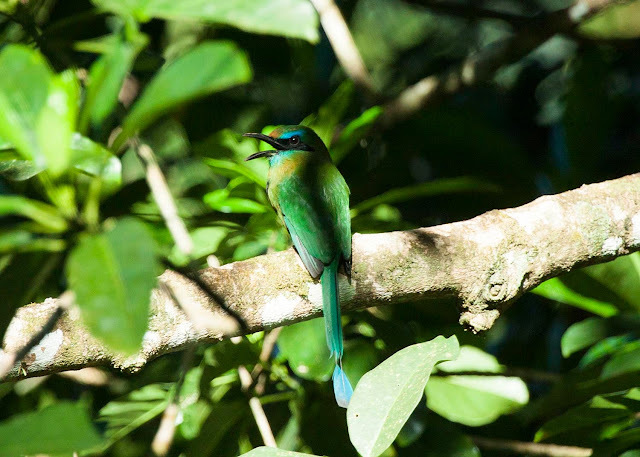 We set off on a short hike and found two Honduran Emeralds within about 10 minutes! It turns out that the flowers that the Emerald feeds on are tiny and I just hadn't been paying close enough attention to find them. One of 18 Honduran Emeralds that we saw during our time in the Aguan Valley. We spent the next couple hours hiking and birding around the area, adding several other species to our trip list and taking lots of photos. This White-bellied Wren was singing loudly and finally came out into the open for just a second. The only place that you can find White-lored Gnatcatchers while birding in Honduras is in the Aguan Valley. 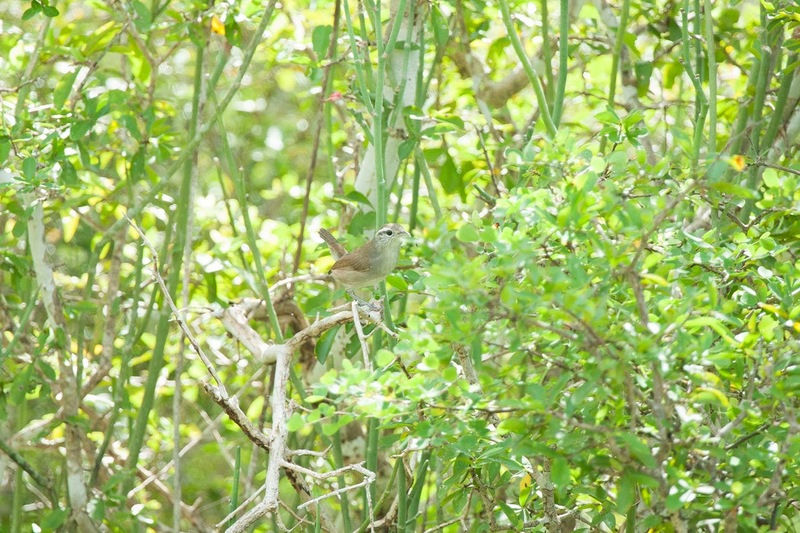 This is also the most southern location that you can find this species. After finishing up our birding, we headed tp lunch. Our dining spot turned out to be one of the most memorable parts of the entire trip. 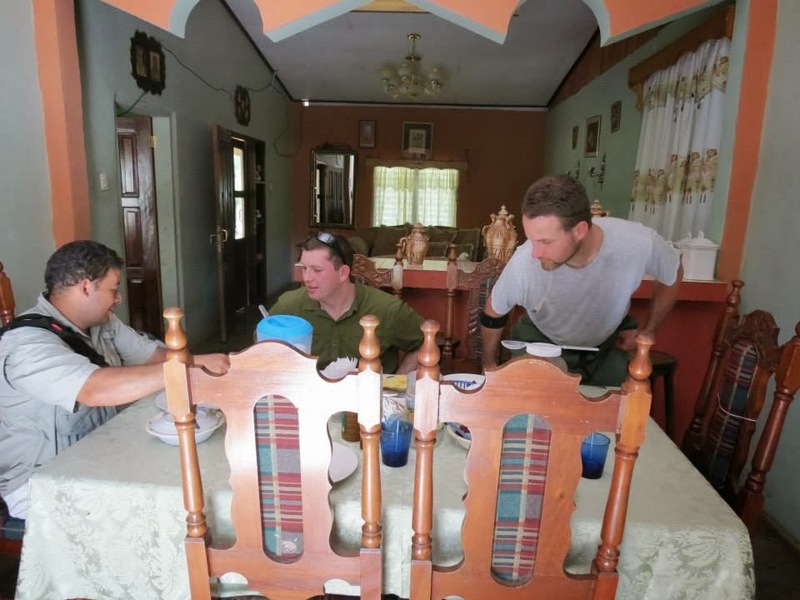 Since there are no cities really close to the reserve, The Lodge at Pico Bonito has arranged for their clients to have lunch at a local home not too far from the Honduran Emerald Reserve. It was absolutely incredible to be welcomed into someone's home for lunch. The food was incredible and relaxing out on their patio after lunch was wonderful! Brian, Elmer and I sitting down to eat. (Thanks Greg for the photo). Greg taking a siesta after lunch. Many people feel that the trip to the Aguan Valley is just about seeing the Honduran Emerald, but I would say that there is so much more to the trip than that. From the stunning scenery to the wonderful lunch, it was a simply amazing day. 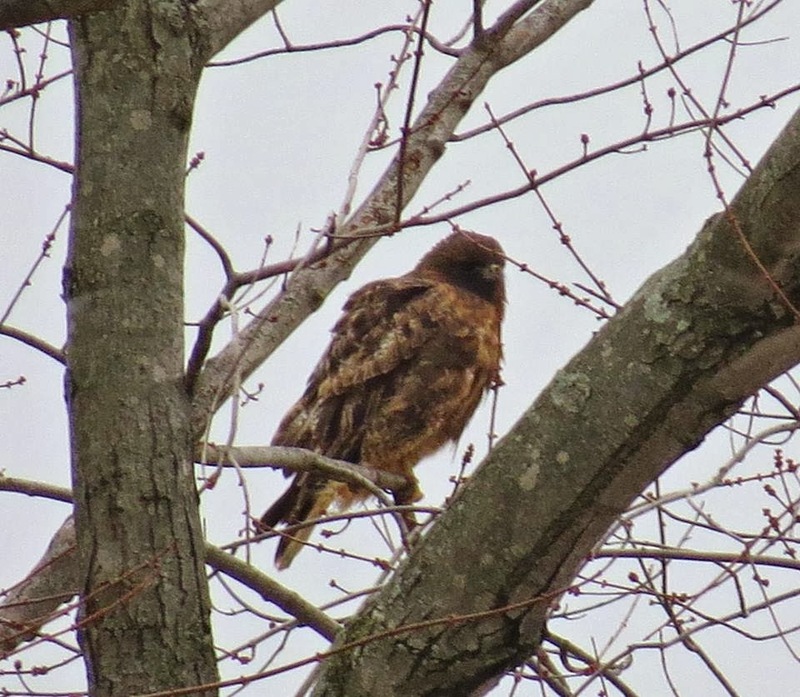 Since most reports of birds at Eagle Creek Park don't include specific locations, here is a list, with locations, of some of the less common birds seen this past week, at the park. Fox Sparrow-multiple, at seed pile at the end of the Handicap Road, Skating Pond, and the South Fields (fields in the SE corner of the park). We have some awesome NuttyBirder.com t-shirts available that would make a great Christmas gift for the bird-lover in your life! The shirts are only $20 and include shipping in the continental US. 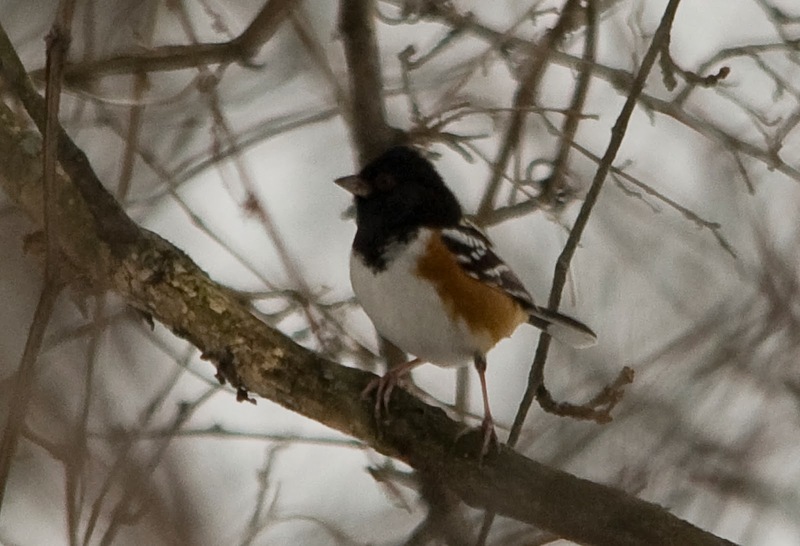 Send us an email at contactus (at) nuttybirder.com if you are interested. 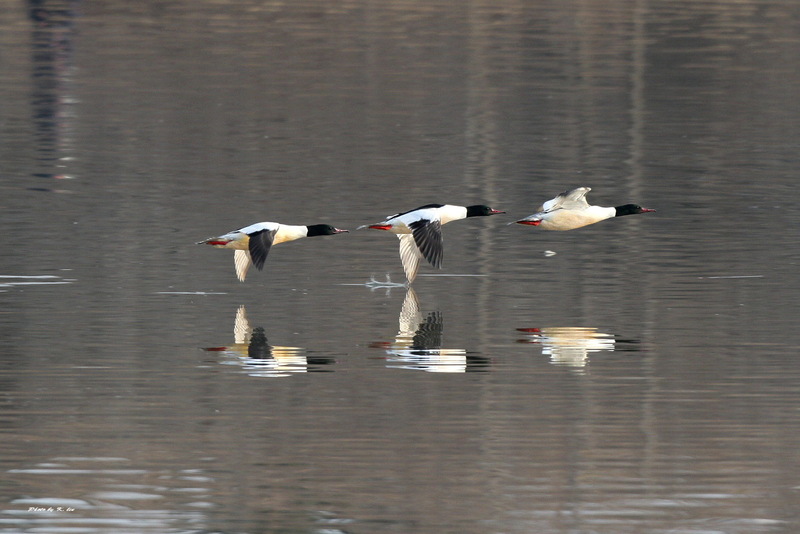 Rob writes: While preparing for my trip earlier in the Fall, there were two birding locations that always jumped out at me as places that I would love to visit. As it turns out, we ended up being able to visit both of those places on the second day of the trip! 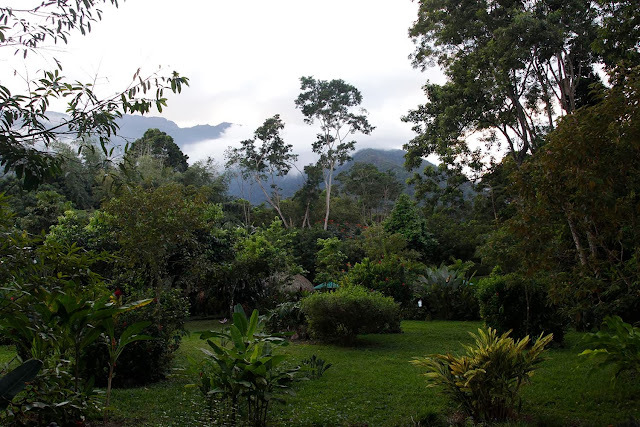 The first stop of the day was a nearby nature resort called Rio Santiago. Since it's so close to The Lodge at Pico Bonito, we didn't have to get started quite as early as we would later in the week. 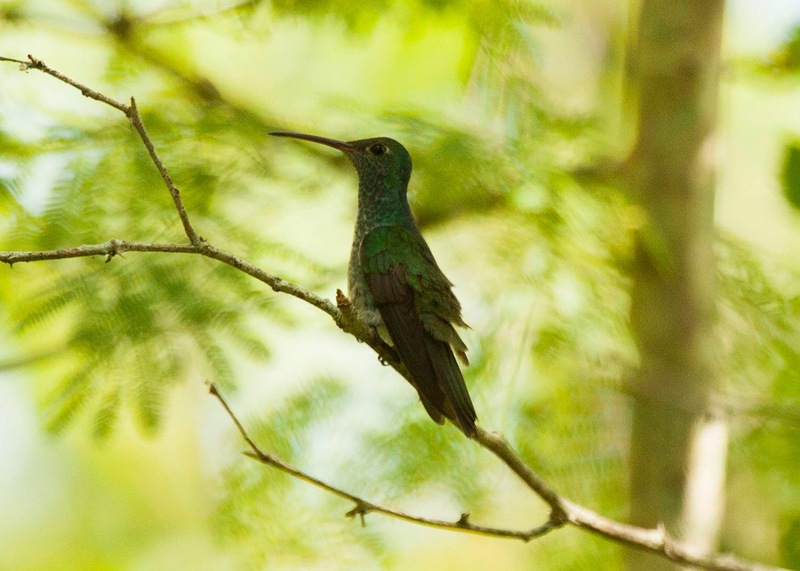 Rio Santiago is known as the Hummingbird Capital of Honduras, and it doesn't take long once you arrive to see why. The owner of the lodge, ..., has set up about 180 small hummingbird feeders, and he has hundreds of individuals spanning almost 20 species visiting his feeders! It is an absolutely incredible sight. Rufous-tailed Hummingbirds were the most common species that we saw while at Rio Santiago. While Brian got set-up to photograph the hummingbirds, Greg and I went with our guide Elmer to check out some of the trails around the property. 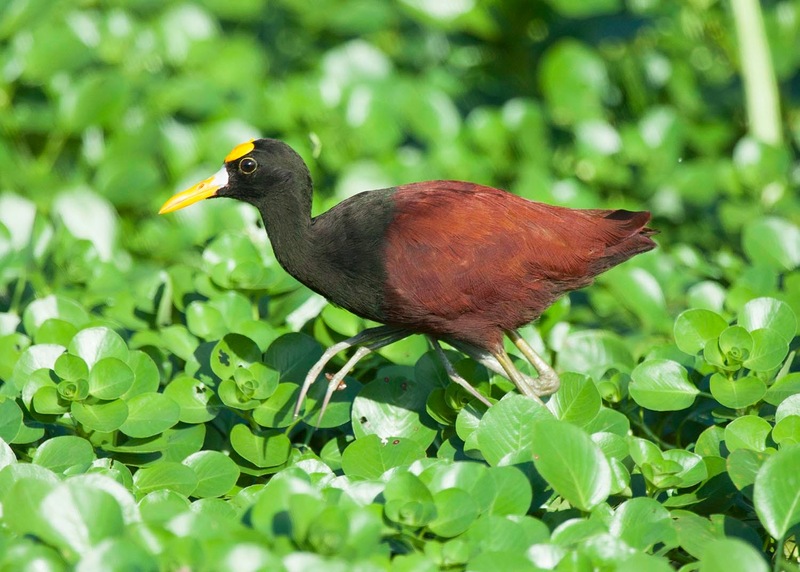 Although Rio Santiago is close to The Lodge, the mix of birds does change quite a bit. 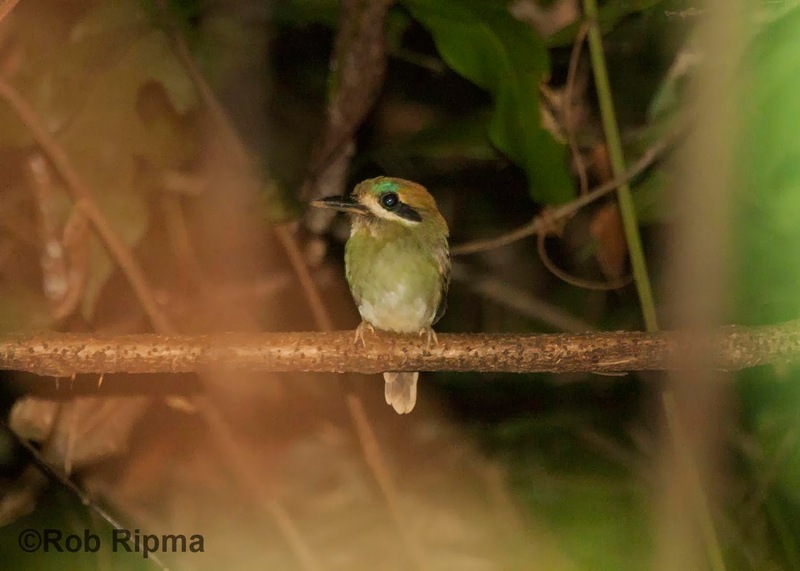 One species that is easier to find here than at the lodge is Keel-billed Motmot. We heard this bird long before we found it but once found, it put on quite a show. 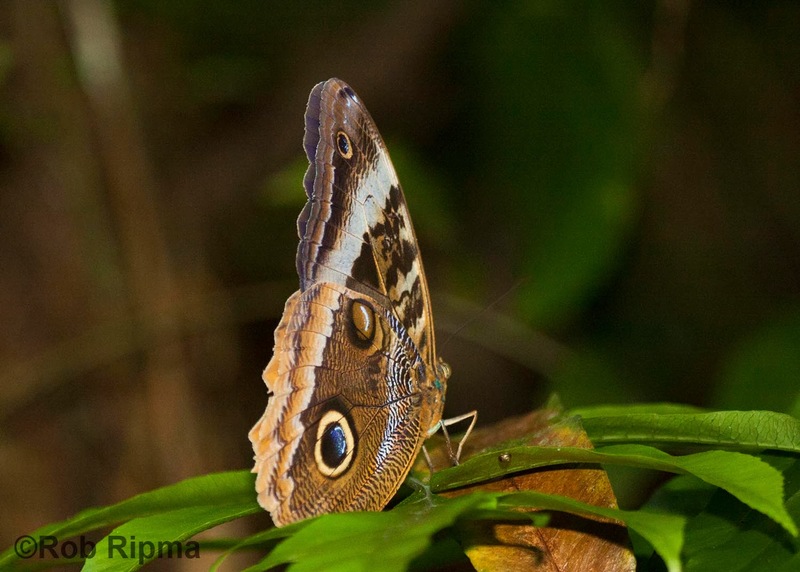 Motmots are beautiful but can be extremely difficult to find. This Keel-billed Motmot perched in the open for several minutes which allowed for great views and photos! We found so many awesome birds on the rest of the hike, but my absolute favorite was a White Hawk that appeared when we were almost done with the hike. Once back to the Lodge, we ordered some lunch as we settled in to watch the hummingbirds off the deck of the restaurant. 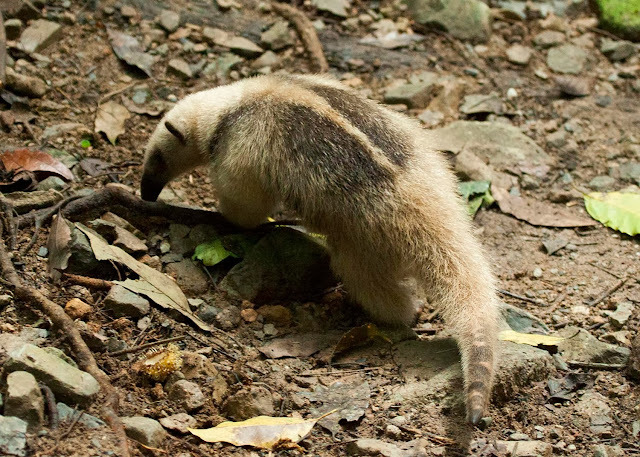 After a little while, our friend James arrived to help release a rescued tamandua (an anteater species) and asked if we wanted to come along for the release. Of course we were thrilled to tag along and take some photos! Hopefully this tamandua can live a long life in the forests around Rio Santiago. After a delicious lunch of fresh caught tilapia from the fish ponds on the property, we were off to our next birding spot! 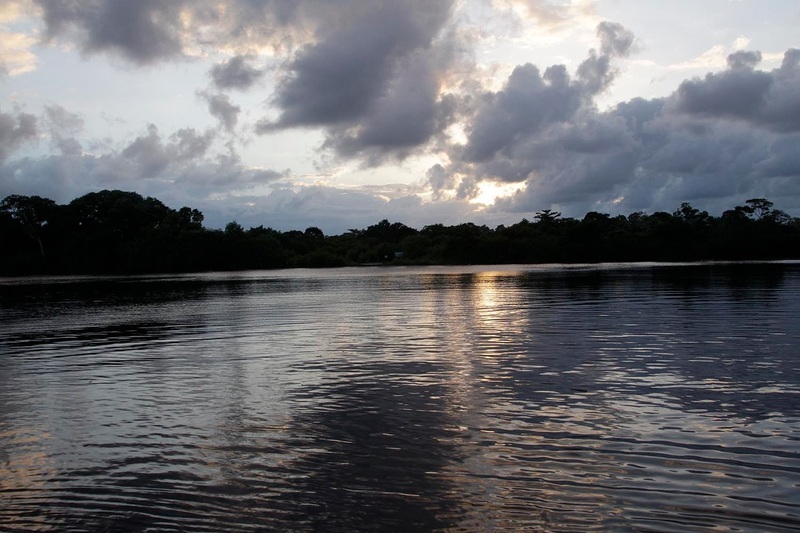 Cuero y Salado Wildlife Refuge is a large 32,700 acre refuge right on the Caribbean. 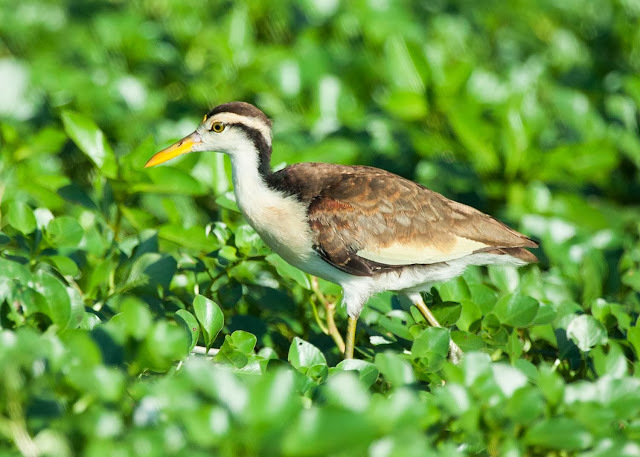 The birding here is done by boat as you explore the mangroves to find a whole different group of birds than anywhere else in the region. 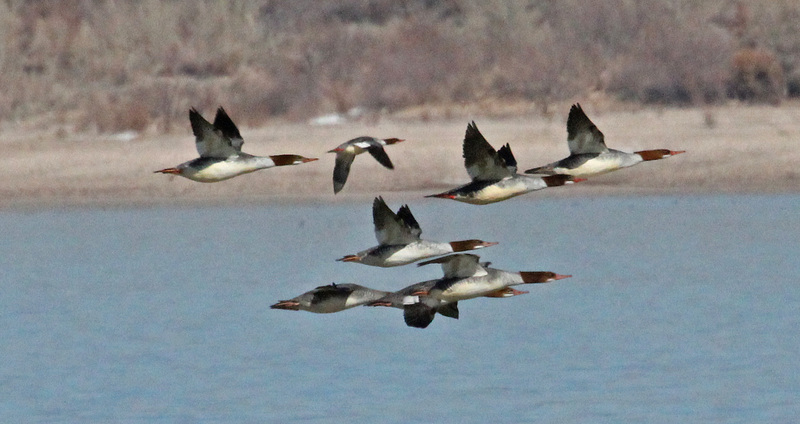 While the birding is amazing, the trip to the refuge is really incredible. In order to get to the visitor's center where you get in a boat to cruise around the refuge, you must take a tiny train from the town of La Union. Riding on the train is like taking a step back in history. These narrow gauge tracks were originally used to transport bananas, but they have been turned into a tourist attraction thanks to the help of several organizations. I found the ride to be quite the unique experience, as I had not expected that there would also be locals that would ride the train with us. I was unaware that there were small villages along the tracks and the only way for those that live in the area to get to the town is by taking the train. There are several stops along the way, and it is fascinating to see how people live in those areas. Greg and Elmer relaxing on our train right to Cuero y Salado Wildlife Refuge. 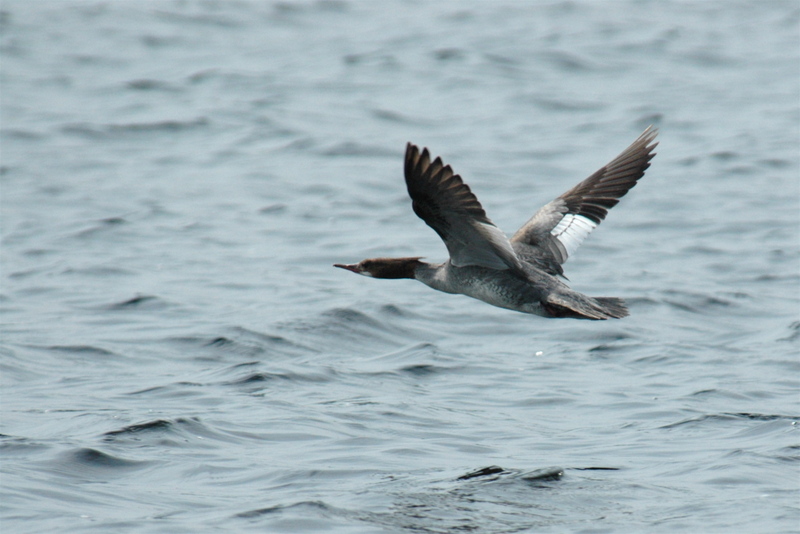 Once on the boat, the new birds came fast! Our local guide and boat captain didn't speak much English but had a sharp eye and was great at pointing out the birds he spotted. 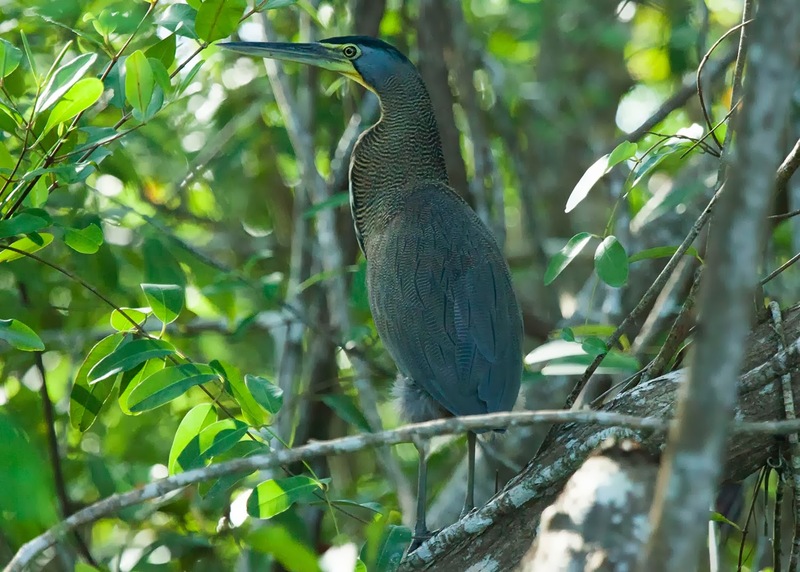 First up was a beautiful adult Bare-throated Tiger-Heron. This Bare-throated Tiger-Heron was well hidden! A little farther along, we found a group of Boat-billed Herons roosting for the day. I have wanted to see this species for a really long time and was very excited to see so many at once! 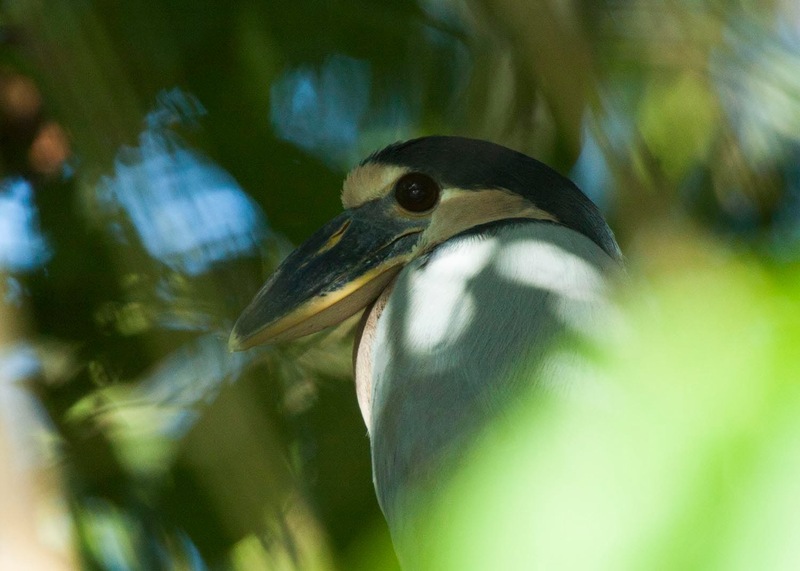 Look how big the bill and eye are on this Boat-billed Heron! Our next great bird was actually the best species we had all day! 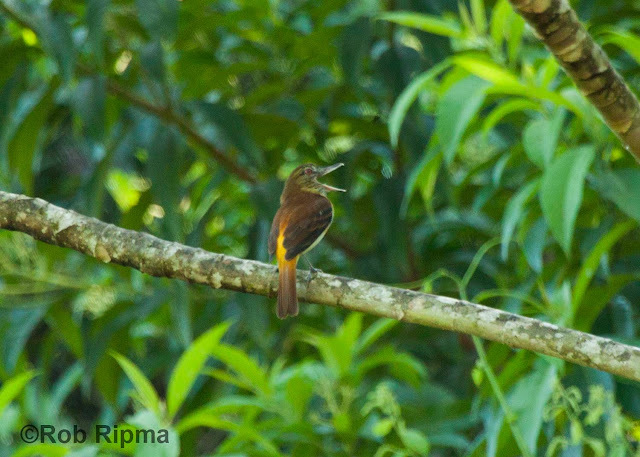 An American Pygmy Kingfisher flew right past the boat and disappeared into the mangroves. We circled back around but unfortunately could not hunt it down. 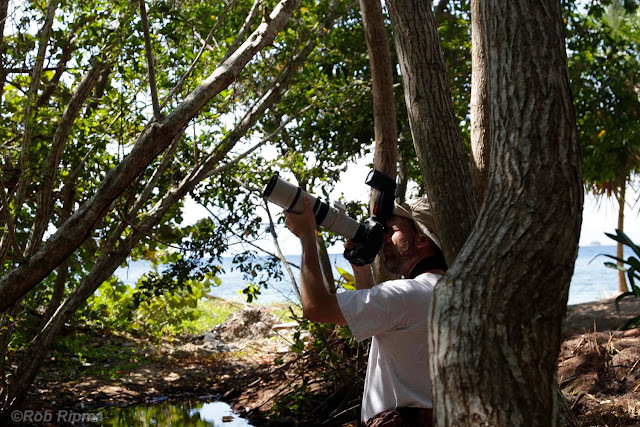 We spent the next several hours exploring the mangroves and taking tons of photos. 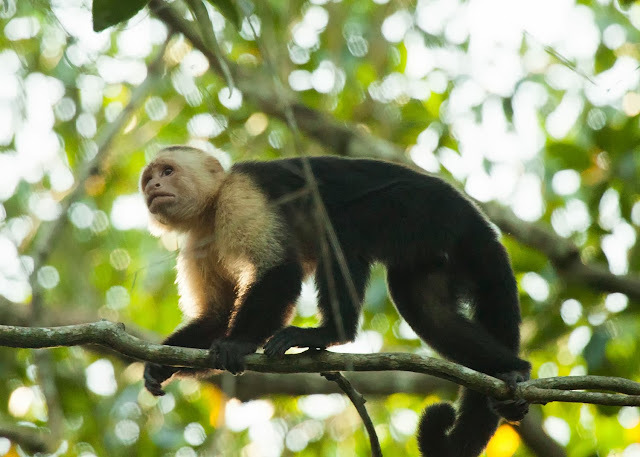 We found a large group of White-faced Capuchins that were very curious about us. The number of Northern Jacanas at Cuero y Salado was incredible. This was one of several young birds that we saw. The young jacana above was following this adult around. 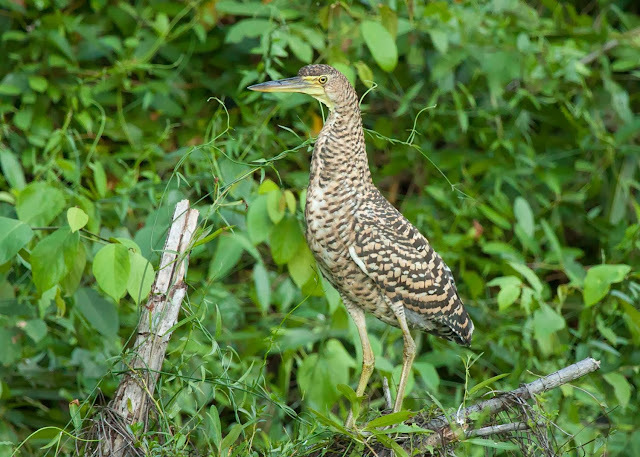 Although the adult Bare-throated Tiger-Heron above was well hidden, this young bird stood right out in the open. This was our view as we approached the dock at the end of our trip. It was a spectacular sight to end our day with. While we waited for the train to travel back up into town, Brian sat down to take a look at the photos on his camera. A small group of locals took quite an interest in what he was doing and loved looking at all of his amazing photographs. 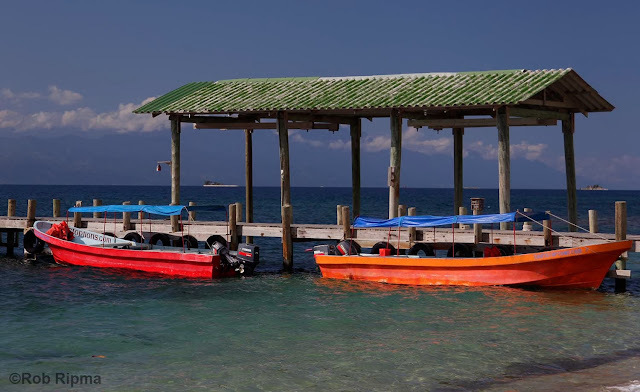 What was really amazing was there there were three generations of locals gathered around. It was incredibly special to ride the train back to town as the sun set. 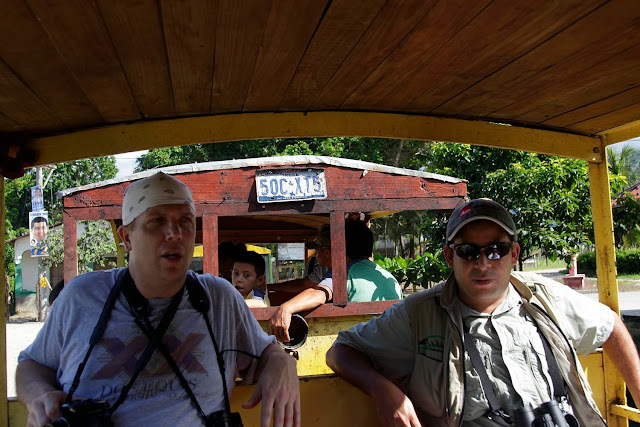 We rode the train right alongside locals again and felt quite immersed in the Honduran culture. The experience was one of the most special that we had during the whole trip. 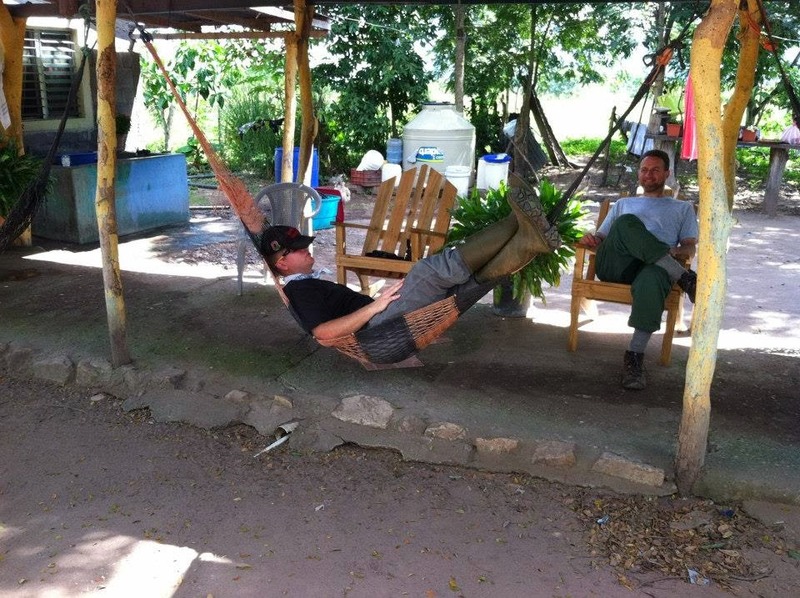 Rob writes: I have been back from Honduras for almost two weeks now but am just now finally ready to start writing about the amazing experience I had in this beautiful country. As many of you know, this was my first birding trip to Central America and I couldn't have been more excited about this opportunity. I wasn't entirely sure what to expect as I embarked on this adventure but I have to say that the trip far exceeded anything I could have imagined. After arriving at the airport in Detroit ridiculously early, thanks Greg, we set off on our way to San Pedro Sula, Honduras by way of Atlanta. I had been assured that San Pedro Sula was not the town that you always hear about in news as the "most dangerous city in the world" but until you see it for yourself, it can be hard to believe. We breezed through customs and immigration and were met immediately by our guide for the week, Elmer. Since Brian and I had an hour to wait until Greg arrived, his flight went through Miami, Elmer took us birding around the airport property. This is something that we could have never done in the US! Can you imagine how quickly you would be questioned by the police if you pulled out your binoculars and looked for birds by the fences around an airport? Never once did we feel anything other than completely safe. It was here the I got my first lifer of the trip, a Social Flycatcher. This was one of about 100 of these that we would see throughout the week but it was extremely exciting at the time! Once Greg arrived, we started our 2.5 hour drive to the Lodge. The drive was delayed slightly by a political parade as well as a truck that was overloaded with palm oil fruit which led to a broken axle and fruit all over the road. Since we were delayed, we arrived at the lodge without enough daylight left for birding but we didn't mind once we were served the welcome drink with rum! What a great view to enjoy while having one of the rum welcome drinks! A view of the lobby and its great deck! The restaurant at the lodge has an amazing view and phenomenal food! We met back up with Elmer at 6:30 the next morning on the deck of the lobby and before we even got started on a hike, we were seeing toucans, euphonias, and parrots. Two of the most interesting birds from the deck were a Hooded and a Kentucky Warbler searching for food in some small bushes just a little ways from where we were sitting. Now, it might seem odd that a couple of species which breed not too far from where I live in Indiana would be so interesting when in the tropics, but seeing them here on their wintering grounds was pretty remarkable. It was very strange to watch them behave rather differently then they do during the breeding season, hopping around on the mowed grass lawn. Over the next week, we would learn that there are tons of "our" warblers that spend much more time in Honduras than they do in more northern latitudes. Our first stop of the morning was at the Toucan Tower, just a short hike from the lobby. From the tower, you look out over a valley with the rushing Rio Coloradito below. As we stood and watched, an amazing number of Keel-billed Toucans flew by and then several Collared Aracari landed in a tree just behind us! 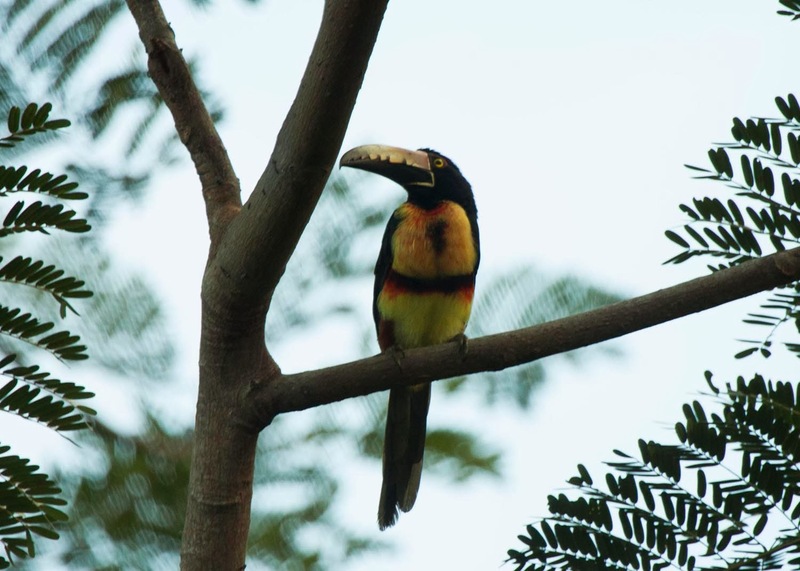 One of several Collared Aracari that seems interested in what we were doing on the tower. It didn't take long until someone spotted our first Lovely Cotinga of the trip! Ever since learning that I was going to be traveling to Honduras, this was one on of the birds that I most wanted to see. It was distant but awesome anyway. From the tower, we hiked all of the property that is owned by the lodge and put together quite a bird list for the morning! 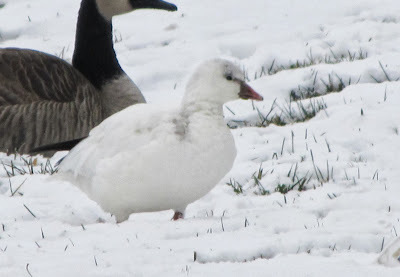 Here are a few photos of some of the more cooperative species. 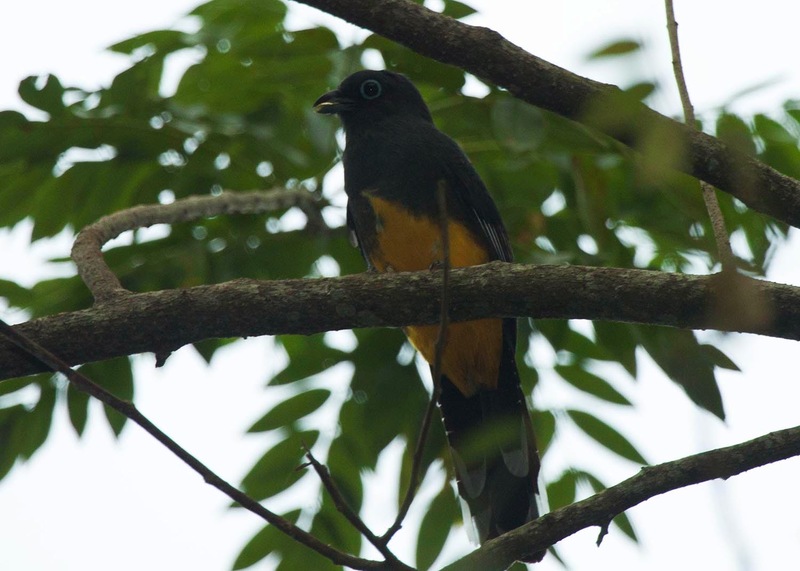 This Black-headed Trogon perched in the open for just a bit before flying off not to be seen again. 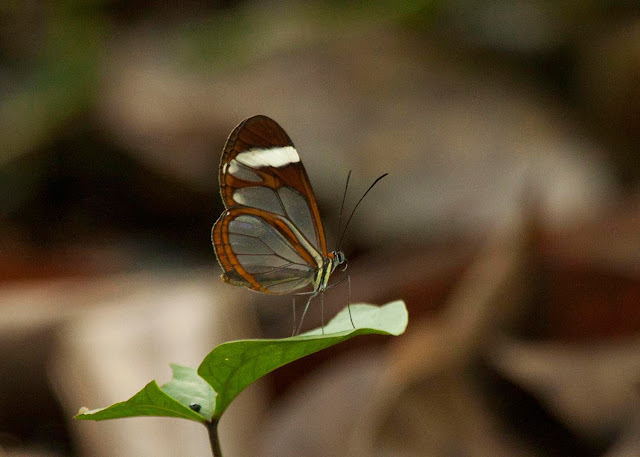 There were an incredible amount of beautiful butterflies but this was one of my favorites! Although I don't remember the exact name of the species, it is some type of clearwing butterfly. Olive-backed Euphonias can be found all over the lodge property. After our long morning hike, we were all glad to settle in to the lodge restaurant for a nice lunch. Our friend James Adams who works for the lodge joined us here to help us plan out the rest of our week. We enjoyed great conversation with James and Elmer as well as some wonderful birds that came in quite close. Brian was able to take some great hummingbird shots and I really liked this photograph I took of a Black-cheeked Woodpecker! 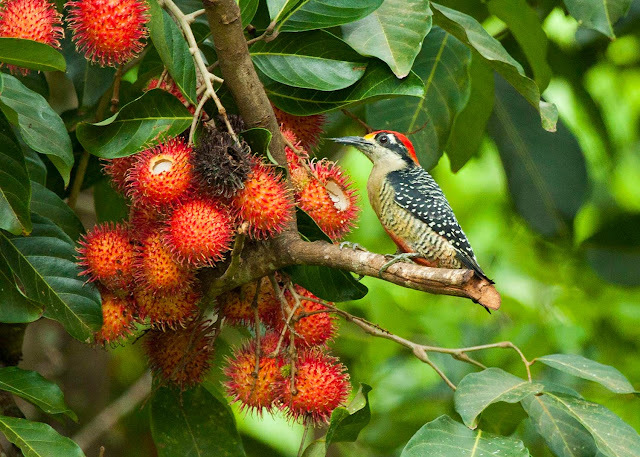 This Black-cheeked Woodpecker was feeding on Lychee fruit not too far from our table during lunch at The Lodge at Pico Bonito. We spent the afternoon covering more of the property around the lodge and ended the day with almost 100 species! Pretty incredible seeing as that we never left the lodge. Check back soon to learn all about the other fantastic birding locations that we visited during our trip. If you are interested in the lodge, check out their website (The Lodge at Pico Bonito) and be sure to watch for a tour we will be offering through Sabrewing Nature Tours that will be announced very soon! 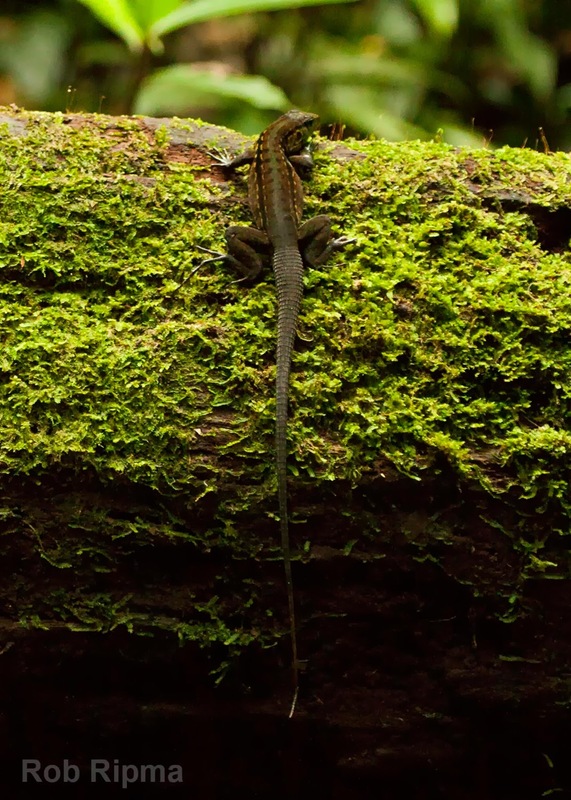 Wouldn't you love to travel to the tropics in 2014 with me and Sabrewing Nature Tours?